Taking place over St. Patricks Weekend, Kilkenny Tradfest showcases the best of Irish traditional music! Both free and ticketed events will be held all weekend, in a variety of venues across the city, along with the St. Patricks Day Festivities and Parade. There are many events for all ages, including the TradTrail, music and dance workshops and lots of family activities. Visit the website www.kilkennytradfest.com for more information. Smithwick's Kilkenny Roots Festival celebrates its twenty-second year with an exciting line-up. Since 1998 this festival has attracted some of the finest names in the Americana/Roots canon. In addition to the ticketed shows, there will be over 70 gigs on the free Smithwick’s Music Trail throughout Kilkenny city. Visit www.kilkennyroots.com for the full line-up. This truly unique festival has it all! Showcasing the best of country music in Ireland, the Festival takes place in the idyllic grounds of Gowran Park, located just ten minutes from the motorway. There is something for everyone with activities for the kids, state of the art facilities, dancing, onsite bars and restaurants, and of course entertainment provided by the best country musicians in Ireland. Visit the website www.kilkennycountrymusicfestival.ie for more information. This June Bank Holiday, the Sky Cat Laughs Festival returns for the 25th edition! Kilkenny City will play host to a number of Irish and International comedy acts, with events taking place all weekend across several venues. Visit the website www.thecatlaughs.com for more information. 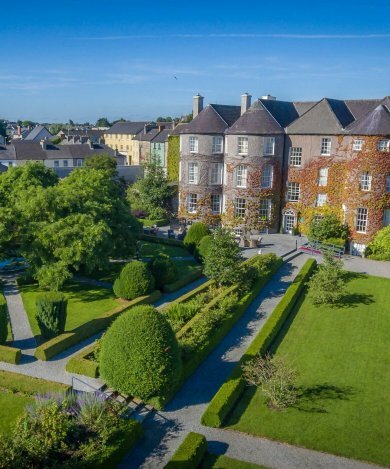 Celebrating the world's finest musicians, performers, writers and artists, The Kilkenny Arts Festival has been running for over 40 years, and is always a highlight in the summer calendar! Visit the website www.kilkennyarts.ie for more information. Following the success of the first-ever Kilkenny Animated Festival in 2018, Cartoon Saloon are back this September! Kilkenny Animated is a festival of visual storytelling incorporating cartoons, animation and illustration in a series of exhibitions, talks, performances, workshops and slideshows from some of the world’s greatest character designers, illustrators, animators and cartoonists. Visit the website www.kilkennyanimated.com for more information. 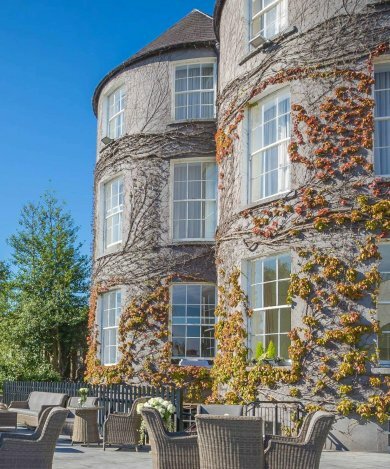 Savour Kilkenny is back, and celebrating its 13th anniversary this year. This festival is foodie heaven! Sure to be a jam-packed schedule, keep an eye on the website www.savourkilkenny.com for updates. Subtitle is Ireland’s newest film festival, and a unique opportunity to catch some of the most popular European films that can’t be found at the multiplex. And a chance to meet their makers and stars! If you’re looking for provocative, funny, accessible and smart European films, then this is the festival for you. Visit the website www.subtitlefest.com for more information. Kilkenomics, the world's first economics festival brings together some of the world's leading economists, financial analysts and media commentators with some of the funniest, sharpest standup comedians. Visit the website www.kilkenomics.com for more information.